Ben Watson has been a software engineer at Microsoft since 2008. On the Bing platform team, he has built one of the world's leading .NET-based, high-performance server applications, handling high-volume, low-latency requests across tens of thousands of machines for millions of customers. In his spare time, he enjoys geocaching, books of all kinds, classical music, and spending time with his family. 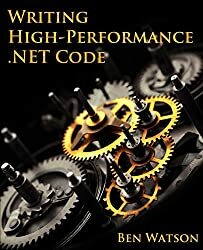 He is the author of the books Writing High-Performance .NET Code and C# 4.0 How-To.